The International Development Committee launched its report into the Department for International Development’s work on education today. The report highlighted the global learning crisis and recommended that DFID increase its share of UK aid to global education and give the full amount requested (US$500 million) to the Global Partnership for Education. 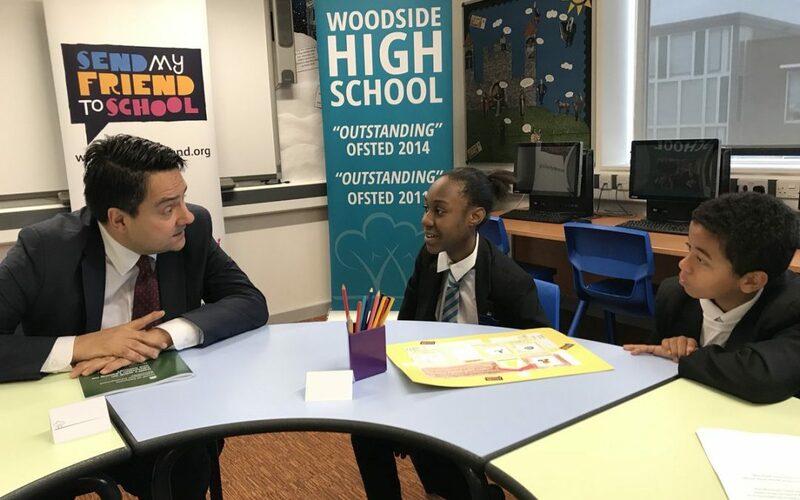 The APPG was delighted that the Committee launched its report at Send My Friend school Woodside High, where Chair Stephen Twigg met with young campaigners, who spoke about why global education matters to them. Watch Send My Friend campaign champion Lulu discuss why global education is important.